* For orders made by November 20th, your student’s products will arrive at Summitt on Friday December 8th and will be sent home with your child by Monday, December 11th. * For orders made between November 21 and December 3, your student’s products will arrive at Summitt on Monday, December 18th and will be sent home by Tuesday, December 19th (the last day of school before Winter Break). 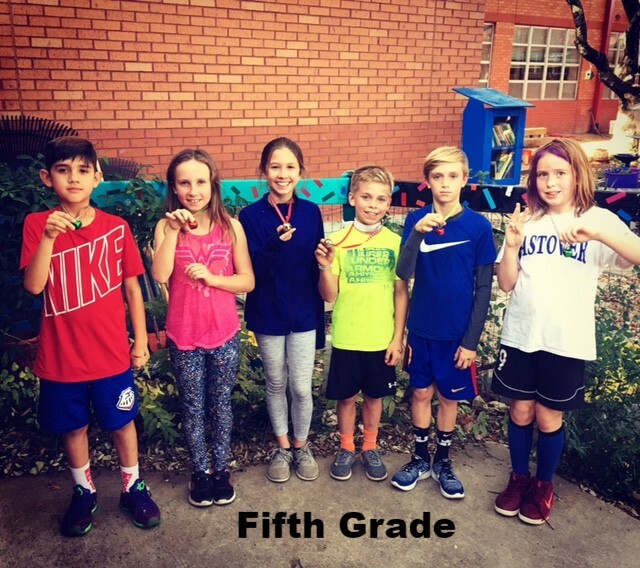 Congratulations to the Top Finishers of our 11th Annual Summitt Jingle Bell Jog on Friday. We had some fantastic times for this 1-mile course. 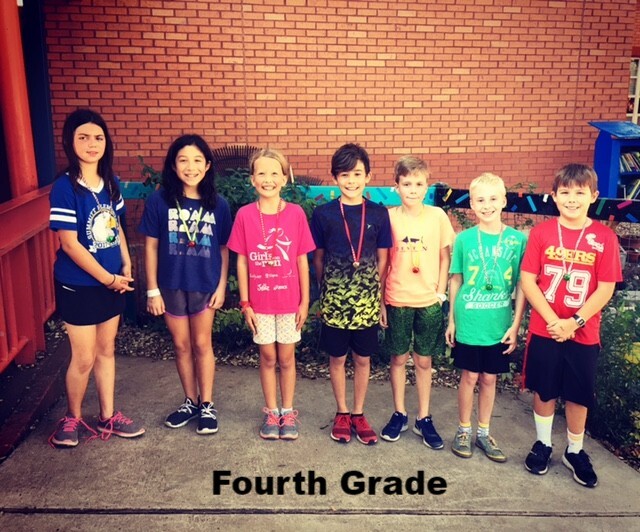 Super proud of the 4th and 5th grade students who all finished the race!! Thanks to all 4th and 5th grade teachers who came out and supported their kids! Awesome job, Mrs. Romer and Ms. Phillips who ran along with the students! Thank you to Mrs. Harris, Mr. Jones, Ms. Frazier, Mrs. Cardosa and Mrs. Spence for helping out with both races! And a big thanks to the classes who came outside to cheer and to all of the parents who helped us mark hands and hold up the finish line 🙂 Y’all rock! Parents, please consider joining your child for an exciting technology event in the Computer Lab at Summitt. We will be participating in our 5th Annual Hour of Code. This is a very fun event! No coding experience needed. We all learn together. We live in a world surrounded by technology. Whatever field our students choose to go into as adults, their ability to succeed will increasingly hinge on understanding how technology works. But only a tiny fraction of our students are studying computer science. That’s why Summitt Elementary is joining in the largest learning event in history- The Hour of Code. For those who may be new to the area or considering school choices, Summitt will be offering school tours on the 1st Thursday and the 3rd Tuesday of each month at 9 am and 1 pm.Please contact Shana Pokorny (512) 414-4484, in the office if you need more information. If you are interested in working on the yearbook, please email yearbook@summitteagles.org. We need volunteers to file pictures, help layout pages, etc. This can all be done on your personal computer. If you are available to help with check-ins from 8:30 to 9 am on Tuesdays or Wednesdays, please contact our librarian, Denise Richey (denise.richey@austinisd.org). If you or someone you know has time any day through December 19 to discuss with our technology classes the importance of learning to code and studying Computer Science, please contact our technology teacher, Barbara Neill (barbara.neill@austinisd.org). You do not have to be a programmer. You may choose to do a 5-minute presentation to the class, or just talk about job ideas and the need to understand our changing technological world. You can come during your child’s lab time or another day/time that is convenient for you. NuMinds Enrichment is offering a 1-day STEAM program on Thursday, Dec. 21 from 9 am-3:30 p.m. at Hillcrest Church, 3838 Steck. We’ll engineer with edibles, crack Christmas physics, and create skits to unlock the season’s secrets. We’ll tessellate and illuminate the holidays with new insights and become Santa’s problem solvers in chief. Register at: http://numien.com/SantaSTEAM; $55 – REGISTER BEFORE DEC 16TH! Fulmore Middle School invites all of your families to attend our school showcase, the Evening of Wonder on January 9th from 5:30-7:30 p.m. Join us in the Fulmore Cafeteria at 5:30 p.m. for opening greetings then enjoy visiting classes, talking with families, and experiencing tours and performances on our campus from 5:50-7:30 p.m. The entire family is invited and we hope to see you! We also want to remind all students applying to the Fulmore Magnet Program that Shadowing Applications are due December 15th at 4:30 pm. The shadow form is in our Magnet Application which is on our website. We ask that families apply to the magnet program in order to shadow. Families will receive notice regarding their shadow date the first week of January. Shadowing is a high interest opportunity, so spaces are filled on a first come, first served basis. Please call Ms. Rodriguez, the Magnet Administrative Assistant at 512-841-4916 with any questions. Join the Cap10K School Challenge and register with the Summitt Eagles! The race takes place on Sunday, April 8th in Downtown Austin! The link below has more information. There is a discount for school staff members! Just click on School Challenge, choose School Member, and make sure to choose Summitt Eagles as your team and register with your school email! Mathleague.org, the largest network of local and state math competitions at the elementary, middle and high school levels in the country, is teaming up with the Church of Christ in Hyde Park to conduct an elementary competition for third through sixth graders from 8 am to approximately 1 pm on Saturday December 9, 2017 at the Church of Christ in Hyde Park, Austin, TX. Last year, over 20,000 students participated in these contests, and they had a great time doing math problems and meeting their peers from other schools. The contests also provide an excellent opportunity for coaches from the various schools to discuss strategies and teaching techniques. Over 250 schools in the Austin area have been invited. More information is at mathleague.org.